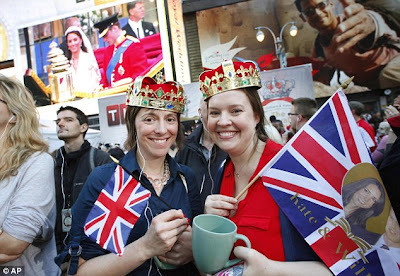 Proudly republican America predictably led the charge as the world celebrated the royal wedding with wall-to-wall media coverage and celebrations as far away as Antarctica and even outer space. 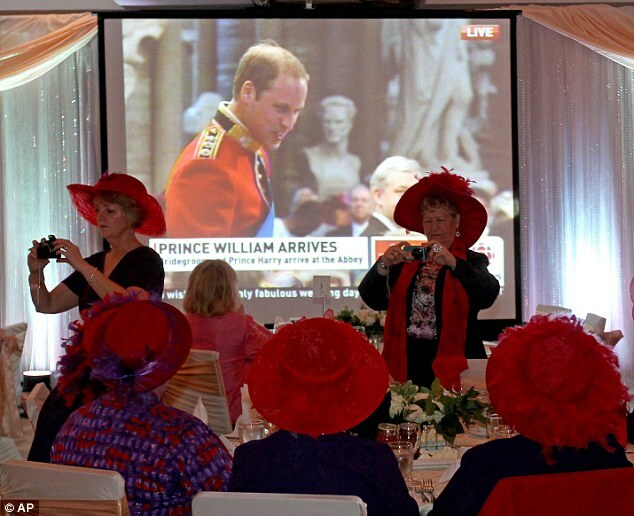 The event drew an estimated two billion television viewers around the world, with many broadcasters scheduling royal-themed programmes long into the day. 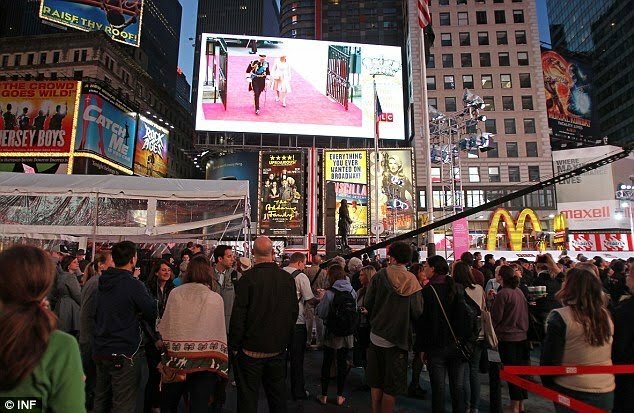 Some of the biggest names in US broadcasting, including Barbara Walters, Katie Couric and Diane Sawyer, had decamped to London in an operation comparable in scale to a presidential election. Aided by squads of British analysts, they provided American viewers with advice on such crucial etiquette questions as who will now courtesy to whom as well as the inevitable minute dissections of the wedding dress. 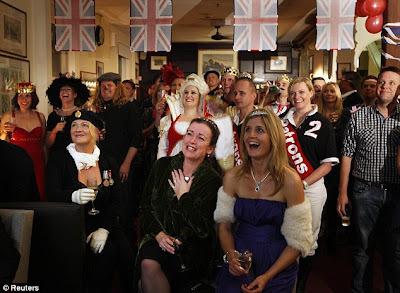 The royal theme continued on many channels with daytime show hosts and audiences alike wearing hats and tiaras in studios kitted out in Union flags and suits of armour. There were wedding parties, often accompanied by full English breakfast, across the US. Hundreds gathered in New York’s Times Square, waving Union flags and wearing fancy hats, to watch on a giant TV screen. More than 250 guests wore prince and princess attire to watch the event in the wedding pavilion at Walt Disney World in Florida. 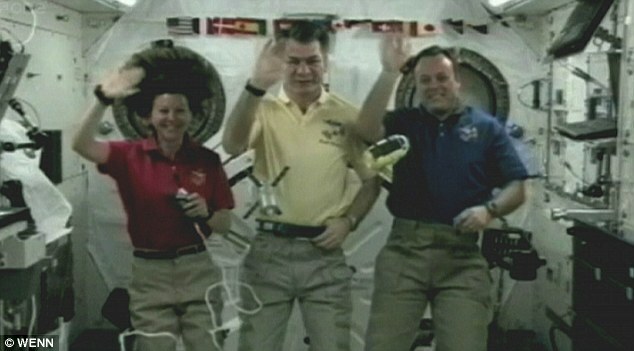 About 220 miles above Earth, NASA broadcast TV coverage of the royal wedding live to the international space station where the crew watched it and sent a congratulatory message to the couple. Down in Antarctica, British scientists battled outside in high winds to toast them at the Halley survey station. France could have been expected to be more lukewarm, especially given the Sarkozys’ absence from the guest list. But despite complaints from L’Express newspaper that ‘not one Frenchie is invited to the wedding of the century’, the Gallic media gave the wedding top billing with all major TV channels providing live coverage. 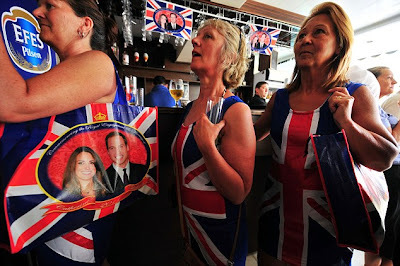 Union flags and pictures of William and Kate dominated front pages with Le Figaro offering a 79-page supplement entitled “So British”. 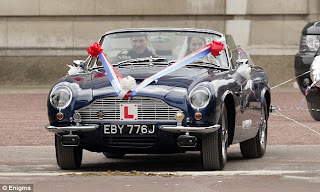 In Italy, there was rolling coverage of the wedding both on state and commercial TV, with four channels broadcasting live from London. 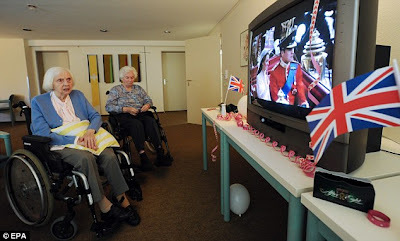 In one of countless ex-pat wedding parties around the globe, British residents of Rome gathered to watch events on a giant TV screen and eat specially-made Sicilian chocolates decorated with images of the couple. In Germany, wedding fans had to take the day off to watch it as employers enforced a strict ban on following it on workplace TVs and computers. At Tsinghua University in China nearly 200 couples tied the knot at a collective wedding ceremony that coincided with events in London. The international joy was not universal. The Iranian state news channel groused that the “people of this monarchical country” were having to pay for the "most expensive" royal wedding in British history at a time of “economic stagnation”. 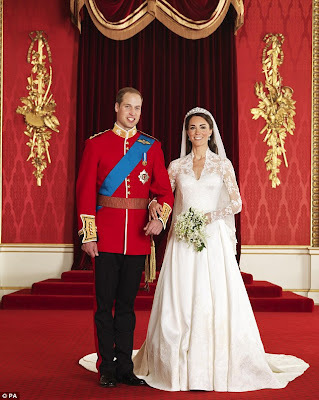 Prince William and Kate posed for the stunning photographs shortly after getting married in a moving ceremony that captivated the world yesterday. 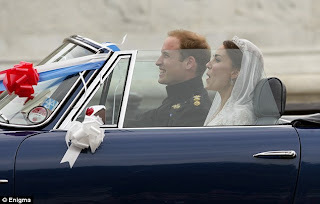 The newly-titled Duke and Duchess of Cambridge appeared to be lost in matrimonial bliss as they smiled for the traditional wedding day photo album taken by Hugo Burnand. No sooner had they arrived at Buckingham Palace from the service at Westminster Abbey did the rapturous family assume their positions for the pictures. In the first photograph the couple stand arm-in-arm together against a stunning rich red velvet backdrop trimmed with gold. The second official photograph shows William and Kate sat more informally on a step. 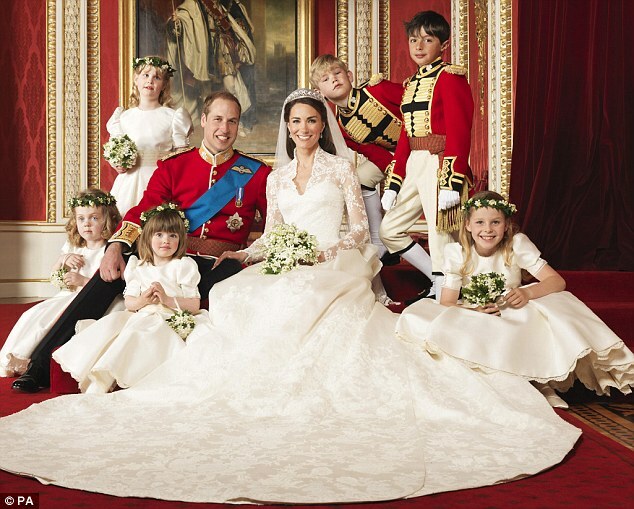 Kate's wonderful dress flows onto the floor around them as she clutches her bouquet. Sitting around the newlyweds are two pageboys and four bridesmaids. They are from clockwise from the bottom right The Hon. 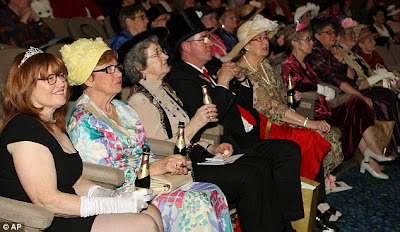 Margarita Armstrong-Jones, Miss Eliza Lopes, Miss Grace van Cutsem, Lady Louise Windsor, Master Tom Pettifer, Master William Lowther-Pinkerton. 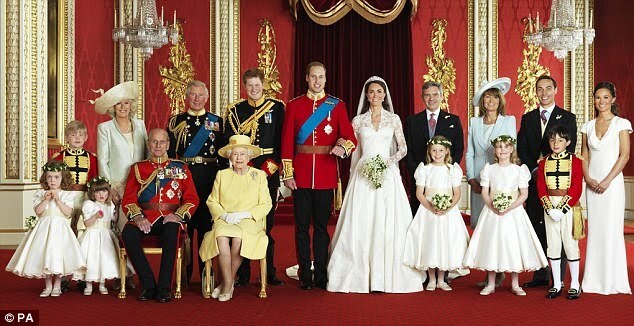 In the third photograph, the newlyweds pose for the traditional wedding photograph flanked by their families. To the left of Kate stands her father Michael Middleton, mother Carole Middleton, brother James Middleton and sister Philipa Middleton. 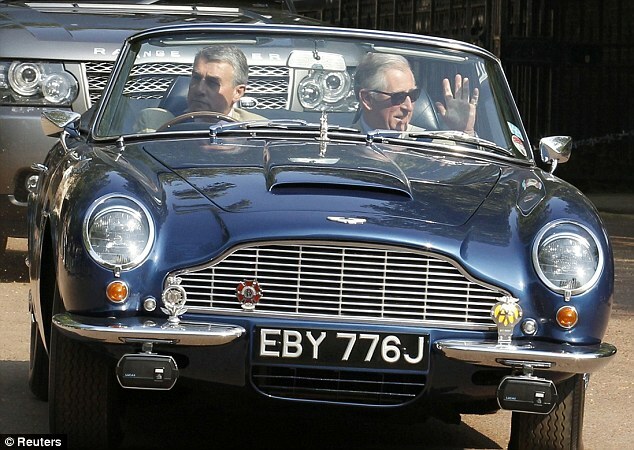 Standing by William's side is Prince Harry, followed by Prince Charles,Camilla and Master Tom Pettifer. 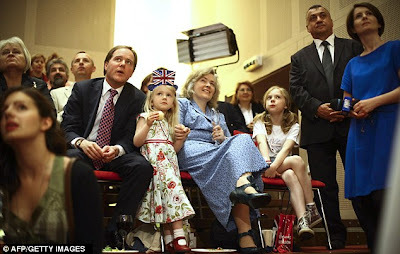 The Queen and the Duke of Edinburgh sit on the front way with Miss Grace van Cutsem and Miss Eliza Lopes to their right. 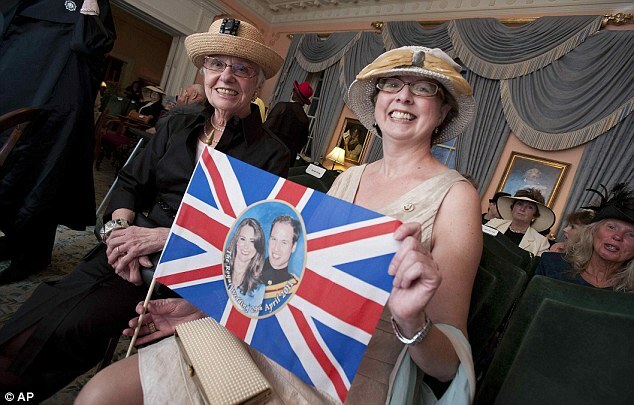 One the other side of the front row in front of the Middleton family is the Hon. Margarita Armstrong-Jones, Lady Louise Windsor, Master William Lowther-Pinkerton. 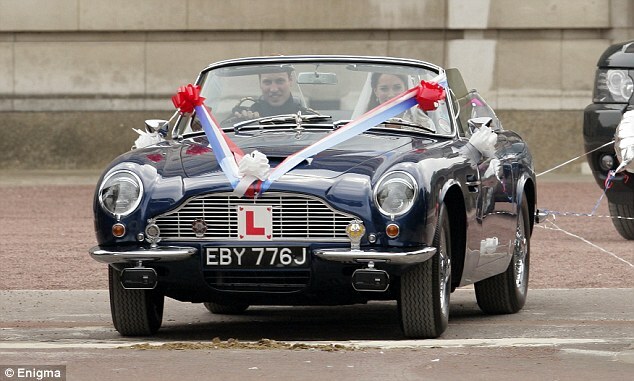 Married life began for newlyweds William and Kate today when they left London for a mystery destination. 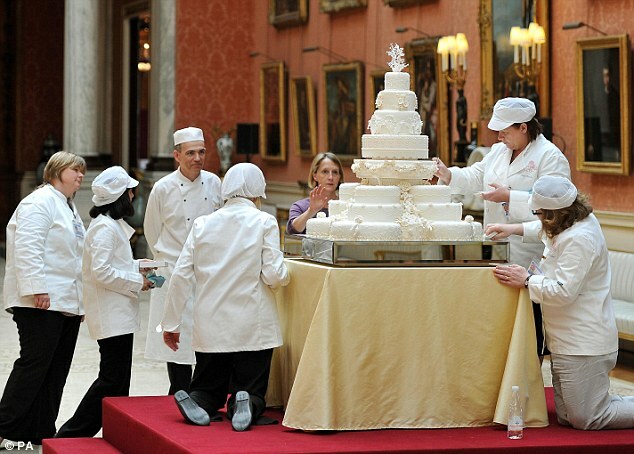 The couple spent last night partying at Buckingham Palace with their close family and friends in celebration of their wedding. 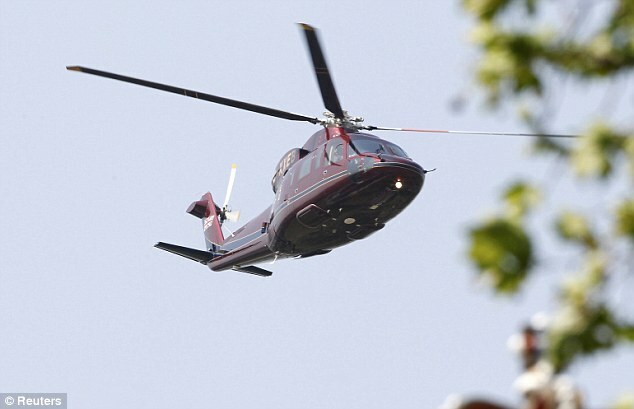 But this morning they left Buckingham Palace by helicopter for an undisclosed destination. Newlyweds William and Kate will not go on honeymoon this weekend - and Prince William will be back at work on Monday. The couple, who flew out of Buckingham Palace this morning, will spend the weekend together at a private location in the UK. 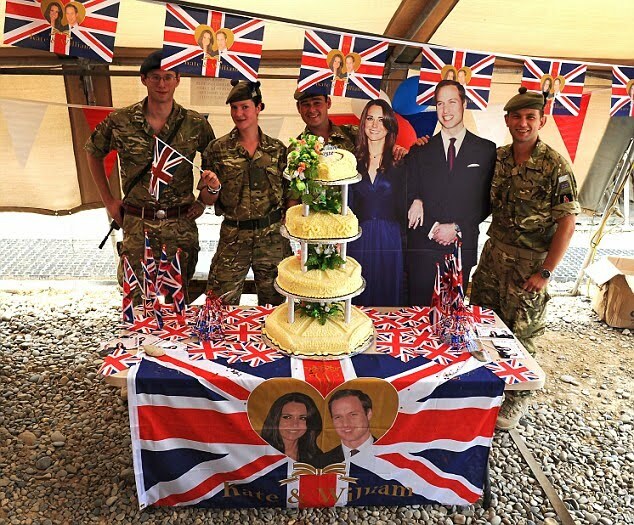 William will return to his job as a search and rescue helicopter pilot next week before the couple finally jet off on their overseas honeymoon at a later date. After spending their first night as a married couple together at the Palace, they walked out of the Palace casually dressed hand in hand this morning. 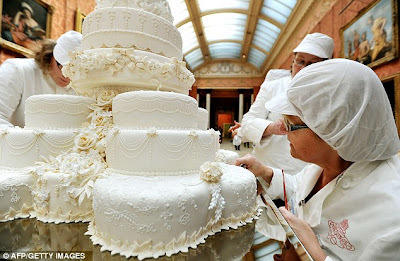 It had been thought they would take two weeks off for the traditional post-wedding break. A St James's Palace spokesman said: 'The Duke and Duchess of Cambridge have chosen not to depart for a honeymoon immediately. 'Instead, after spending the weekend privately in the United Kingdom, the Duke will return to work as a search and rescue pilot next week. 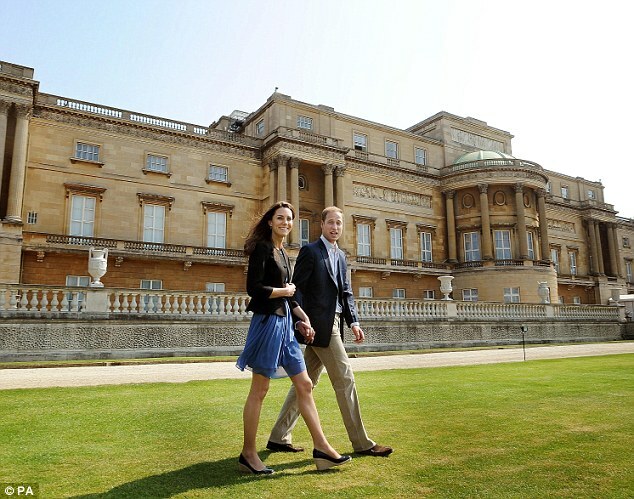 William and Kate emerged from the Palace today hand in hand from the palace's garden entrance, located at the side of the imposing building. In bright sunshine, they strolled along the gravel path and out into the open space where the maroon helicopter was waiting. The Duke's new wife wore a light blue dress, dark jacket and platform shoes, while he was dressed in his trademark chinos with a pale blue shirt and navy jacket - a casual look in complete contrast to yesterday. The couple stopped briefly to chat to two Royal Household footmen and appeared to be thanking for them after their stay. When they finished, William put his hand on the small of his wife's back and they went over to talk to the helicopter pilot before climbing on board. Before they got on the aircraft, palace staff had carried out some of their luggage, which included a bouquet of white blooms. The couple are said to still be on a high after their wedding day which was both an intimate family affair and a global event televised across the world. Pippa Middleton and the rest of her family, who had been staying at The Goring hotel, left this afternoon, smiling broadly. Michael, Carole, Pippa and James Middleton posed briefly for photographs in casual clothes. Pippa, who wowed a worldwide audience yesterday in her stunning bridesmaid dress, was wearing a blue blazer, cream buttoned shirt and white jeans. They looked happy and relaxed and bore no signs of the after- effects of last night's celebrations. For William and Kate, Kenya is thought to be the most likely honeymoon destination as a punter tried to put £5,000 on William and Kate heading back to the country where he proposed last year. But the Caribbean, Australia, Jordan and Scotland are among the destinations that the couple may have chosen. 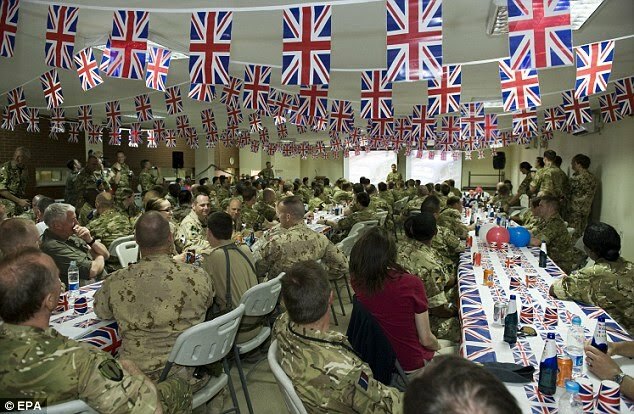 At last night's the black-tie do, which started with dinner in the palace's lavish ballroom and ended with dancing into the small hours, Prince Harry gave his best man's speech. 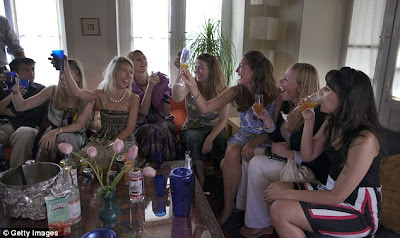 Around 300 family and friends attended the lavish bash last night where they partied until 3am. 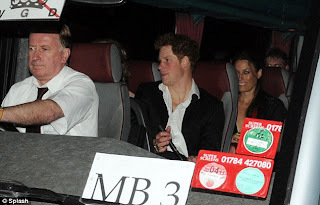 William may have flown out in a helicopter this morning, but his younger brother and best man Harry had to make do with a minibus. 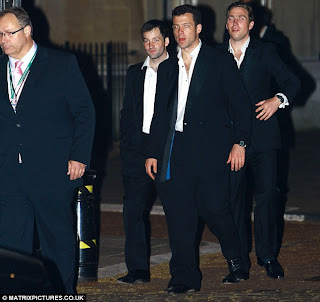 The Prince was photographed leaving the Palace at 3am - while Chelsy Davy left with Princesses Beatrice and Eugenie in a car. 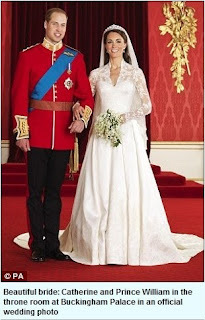 The couple are now known as the Duke and Duchess of Cambridge after the Queen bestowed the title on her grandson. 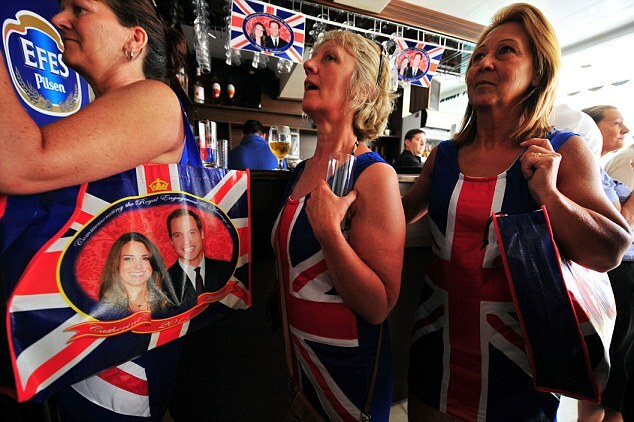 Royal wedding guests said they were feeling a little jaded today. As Kate and William flew off from Buckingham Palace in a helicopter to begin married life together, one guest described how the celebrations had continued into the early hours. 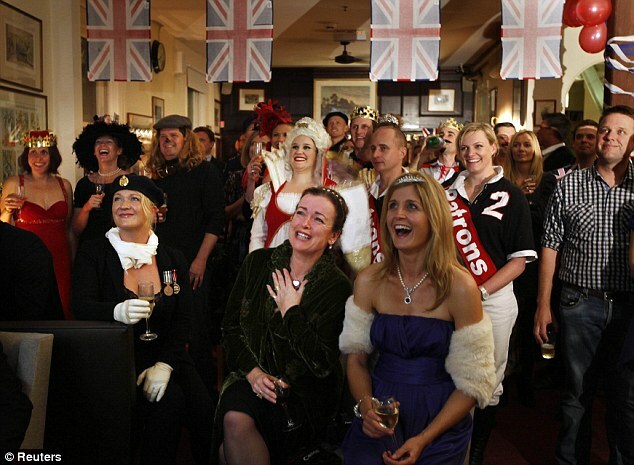 Kate's family, along with some of their guests, stayed at the exclusive Goring hotel near the palace. Family friend Tony Ainsworth, from Dorset, said outside the hotel: 'It has been an historic occasion. After the concerns of getting to the church on time, it all went smoothly. 'We had a party at the hotel last night that went on well into the evening, so we're feeling a little jaded this morning. Carole and Mike (Middleton) made an appearance as well. 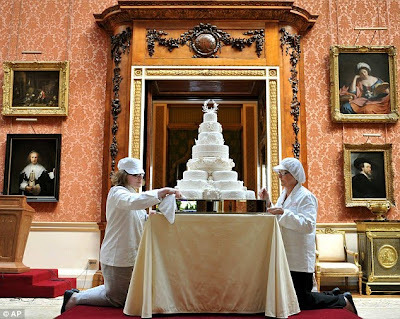 'I went to bed around 1am but I heard guests stumbling around at 5am, coming back from the palace, which woke me up. 'My own daughter got married two years ago and, as a father of the bride, I thought Mike handled himself brilliantly, James also gave an incredible address. Bookmakers had this morning made Kenya the 3-1 joint favourite after a punter had tried to place a £5,000 stake. But they may continue their wedding theme of championing the UK and spend part of their break in Scotland, where both the Queen and the Prince of Wales have private homes they could use. 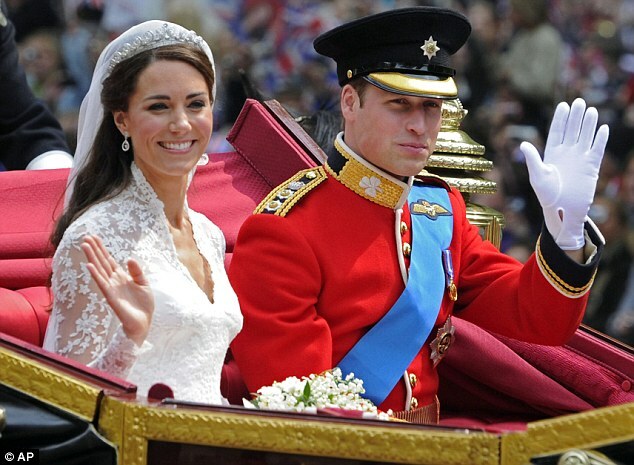 Bookies are also offering 3-1 odds on William and Kate heading north of the border. The Duke is known to have a deep affection for Africa, and would be on safe romantic territory if he chose to take his wife to Kenya, where he proposed to her last year. Jordan, with its plethora of ancient sites, has also been touted as a possibility for the couple's honeymoon. 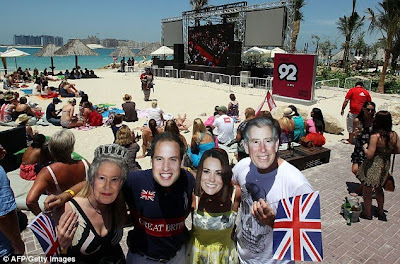 The Middle Eastern country would no doubt have nostalgic appeal for Kate as her family spent two years there when she was a child. However its proximity to hotspots such as Syria could count against the country. If they are keen to escape the prying eyes of the media, a secluded Caribbean island might be a safe choice. 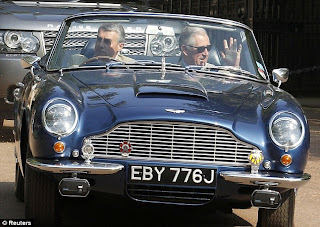 Bequia and Necker Island all have the benefit of being easily secured, as does the ultra-exclusive Mustique, where Kate's parents Carole and Michael Middleton are frequent visitors. Lizard Island, off the coast of Queensland, Australia, has also emerged as a contender. However, with William resuming his pilot duties in two weeks, the significant jetlag likely from such a far-flung trip could rule it out. They may also be tempted by Chile, as they both spent time in the South American country during their gap years before university. Thirty years ago, William's parents the Prince and Princess of Wales spent the first stage of their honeymoon in Romsey in Hampshire, where they stayed at Broadlands, the family home of the Mountbattens. The second part of their holiday was spent on board the royal yacht Britannia. They boarded at the Rock of Gibraltar before cruising to Algeria, Tunisia, Sicily, the Greek islands and Egypt. 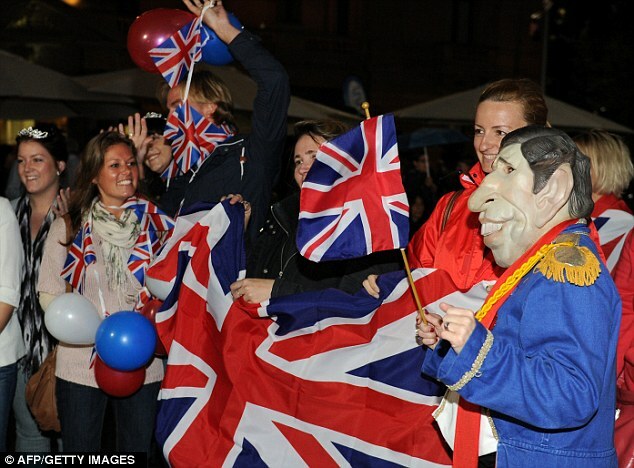 Finally, they went to Scotland to spend time with the Royal Family in Balmoral. He is infamous for his bad jokes – and even on the Buckingham Palace balcony Prince Harry struck again. 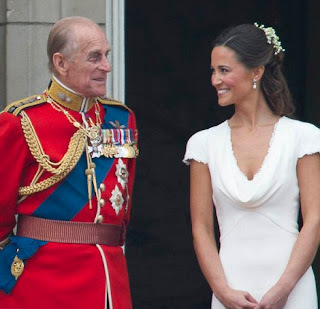 The 26-year-old quipped that his grandfather, Prince Philip, was dwarfed by Kate Middleton, who stood tall in three-inch heels alongside her prince. 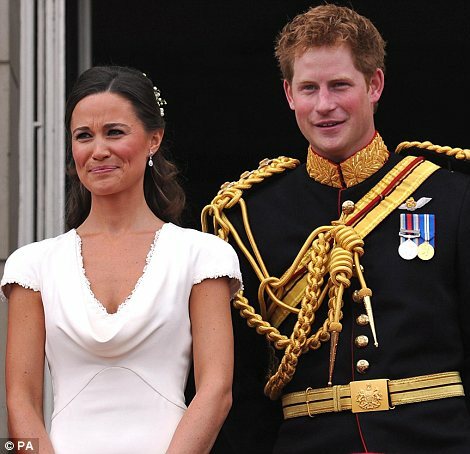 His stunning second sister-in-law Pippa, 27, did not appear amused – but she will need to get used to Harry’s humour. And at least she seemed happier talking to the Duke of Edinburgh, 89, who is renowned for his charm with beautiful women. 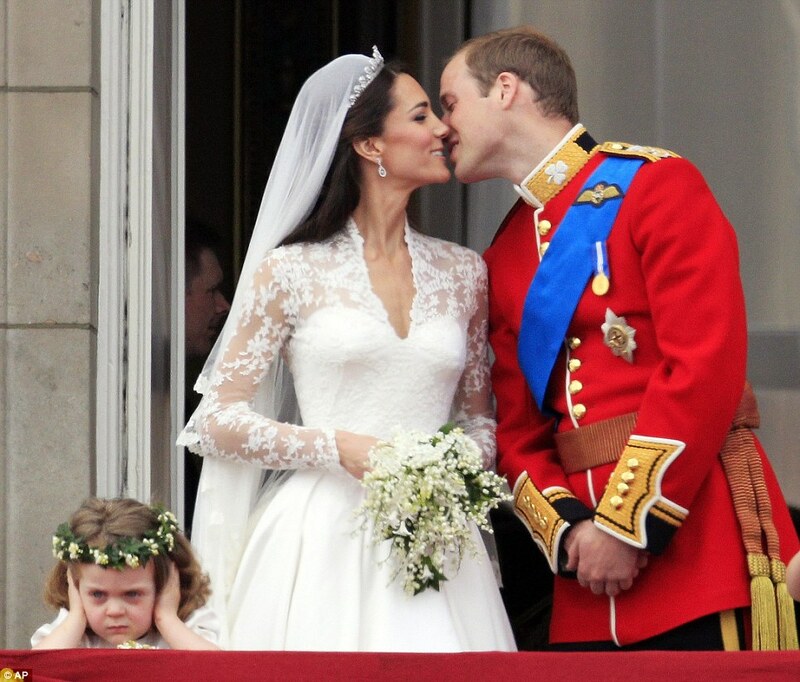 Yards away, bridesmaid Grace van Cutsem had no qualms about showing her annoyance at the traditions of the day. The three-year-old covered her ears grumpily as the flypast took place noisily overhead. She may, too, have been grimacing about the soppy sweet nothings being whispered just over her left shoulder. 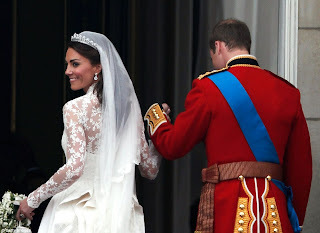 A lip reader’s analysis showed that, following their first kiss, Wil- Paul Harris reports liam touchingly told his new bride ‘I love you’ before going in for a second crowd-thrilling embrace. 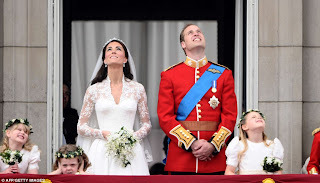 Further along the balcony, Prince Charles jokingly asked the father of the bride Mike Middleton: ‘Can you see from here?’ Charles was also more tactile than usual, as he lifted up his wife’s young granddaughter Eliza Lopes so she could get a better view. 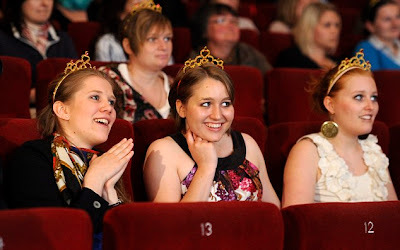 Throughout the balcony scene, William and Kate were understandably oblivious to the family bonding going on around them. 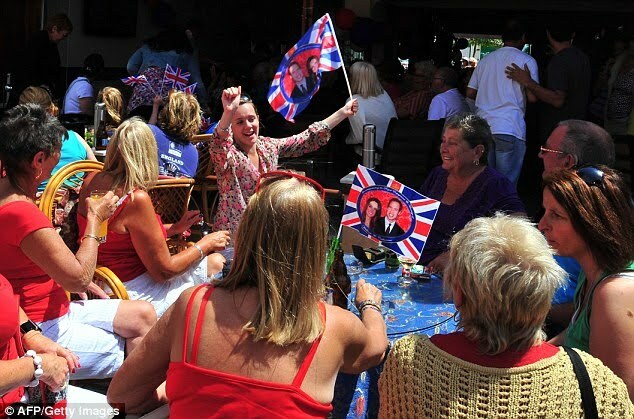 The moment she stepped out in front of the crowd, Kate exclaimed ‘wow’ and looked in awe at the thousands of flag wavers who will one day be her subjects. 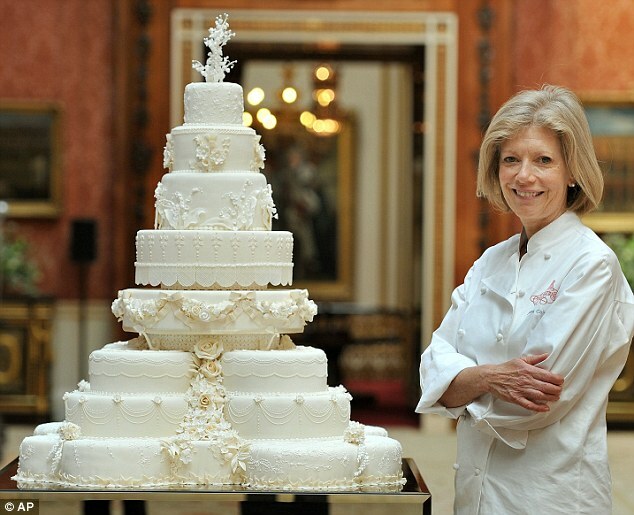 Ms Cairns, 56, whose confections are sold in Harrods, Selfridges and Waitrose, was contacted by St James's Palace in February and asked if she would make William and Kate's wedding cake. ‘Catherine did not want it to be seven feet tall, she didn't want it to be towering and thin, and I think we succeeded. Kate also gave Ms Cairns detailed instructions for her to include 17 different blooms and foliage for their meaning or symbolism - known as the ‘language of flowers’. 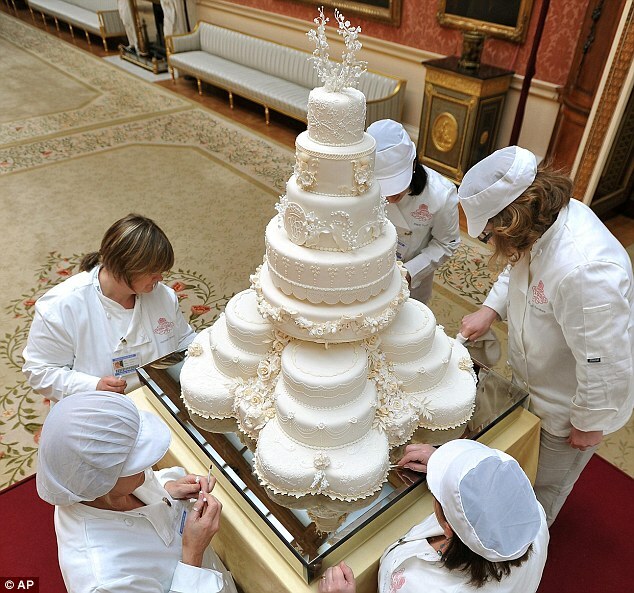 ‘The hardest part was transporting the cakes from Leicestershire to the palace - we were worried they would get damaged - then we had to assemble them.